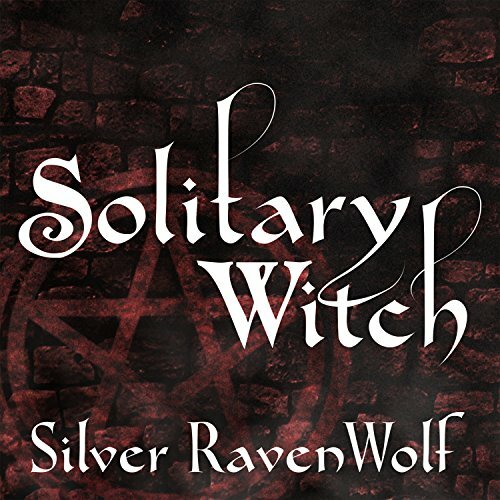 Solitary Witch is the ultimate Book of Shadows for today's new witches. 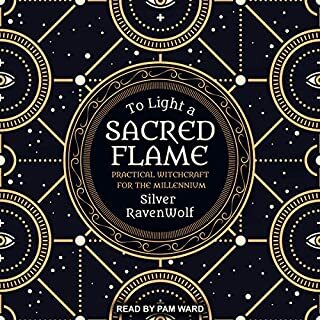 Definitely not meant for instawitches, this audiobook will give you a thorough understanding of the history and development of magick in the Western world, the evolution of Wicca as a religion, the theory and practice of both ritual and folk magick, and the spiritual depth of the craft. 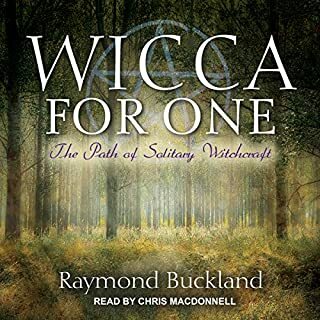 This audiobook is like a grimoire from days gone by. Laden with useful information throughout, it's up to you to decide how to use it. Solitary Witch will serve as an encyclopedia of magickal information for any witch as long as your mind is open, your heart is true, and your will is strong. I'll start out by saying that this is an encyclopedic type reference book, as opposed to a chaptered nonfiction book. So while the information provided is interesting, it wouldn't necessarily be something you sit down and read start to finish. The topics are alphabetized, which is great while flipping through a reference book for your desired topic, but it seems disjointed while listening to the audio version of the book. The author states in the foreword that it is geared towards beginners so I'm not sure why the other reviewers seemed surprised by that or felt that it's condescending, though it could be another result of it being an encyclopedic book. All in all I would pass on this book in audio form, but definitely look for it as a physical book to reference as needed. 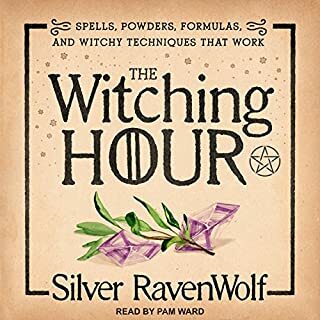 The author noted several other beginner witchcraft books and I think I'll be looking into those as audiobooks instead of continuing on with this one. full of great information! I must for anyone seeking this path in this religion or just for studies. Are all of Silvers’s books written for teenagers and young adults now? The description should state so! Wow so much information. Unfortunately the audio sounds off (garbled robot) compared to other audio books I’ve bought. Also there are a lot of chapters, when I select a chapter to play they often start mid subject. 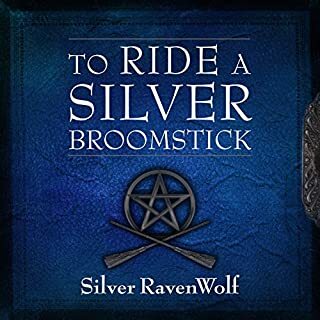 I'm very new to Wicca and Paganism, I'm also an adult. This book started off alright but it was very clearly geared towards teenagers. I felt the author wanted this book to reach teens and people my age but I felt myself getting very frustrated. A lot of examples are like "What if your parents won't let you go to the movies?" or "Make sure you ask your parents if you are allowed to have candles before you light them!" No thank you! After listening to this audiobook I'm really mad that I avoided her for so long. I met a lot of snobs really early on that turned me off her as being too "fluffy bunny" when she actually isn't. i realised while listening to this that the actual reason she is dismissed so soundly is because a lot of her work specifically targets teen girls. and if you've ever been a teen girl you know that pretty much everything for teen girls is derided to the point that even we as teen girls dont even want to identify as teen girls for fear of backlash for existing. the misogyny against women is started early and dismissing or refusing to take anything seriously that is geared to teen girls is a very serious layer of this misogyny, so if you've avoided any Silver books because "they're just fluff" let me assure you this book is not fluff at all. 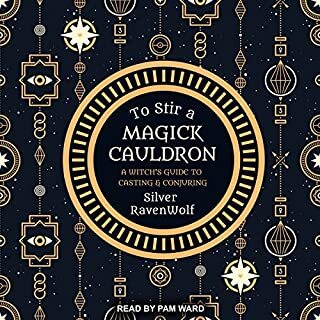 there is a ton of info in here from spells, to history, to mythology, to astrology, to even herbology. each section is broken into parts and themes that make sense and everything ties back together. its a little dense for an audio book so I recommend having the physical book as well, especially for all the charts and diagrams. the one issue I did take with this work is that it is very pro-cop, very pro-military and pro "war on crime" which I dont like due to the overt racist policies and violence against poc of this natuon that have been perpetrated by cops in the so called war on drugs and war on crime. the last part of the last chapter is blatantly this which left me on a bit of a sour note and like "ugh, did you have to white lady so hard in thos bit?". if shed just mentioned blessing your military and talking about her daughter that went into the army that would have been fine but she added the war on crime stuff and I was just totally turned off. overall i would read another book by her, I dont think I could restrict myself to only these books but I like her style and I like that she centers teens because not many authors do. This book has a lot of good information but it is intended for teens and I wasn't expecting that. this is the first book I have listened/read by this author. I felt that it was directed to a very very young person. I think if I were I the 11-14 year old range I may have connected. Phenomenal! Love Pam Ward's dictation as well! 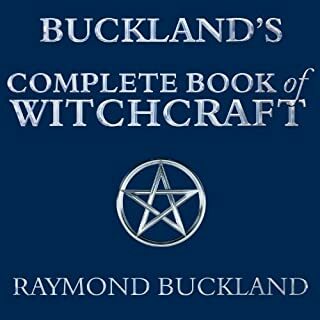 I'm not a teenager by any means but this book contains so much information that relates to my life as a beginner into witchcraft & the wise & old ways of religion & beliefs with the spells & ceremonies. I lived it so much I actually bought a hard copy for myself as a reference/study guide. Only downfall to audible version is the book refers to PDF Files that aren't provided.